Find the perfect bass guitar chords! 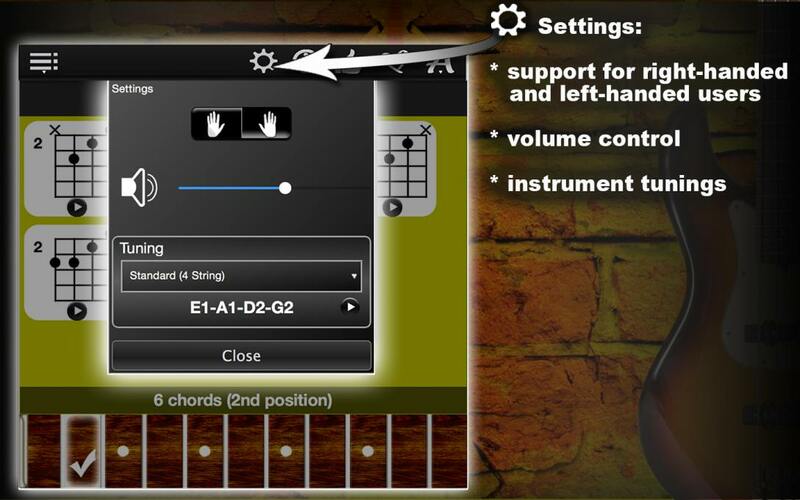 Let Bass Chords Compass help you get in touch with your inner rock star! 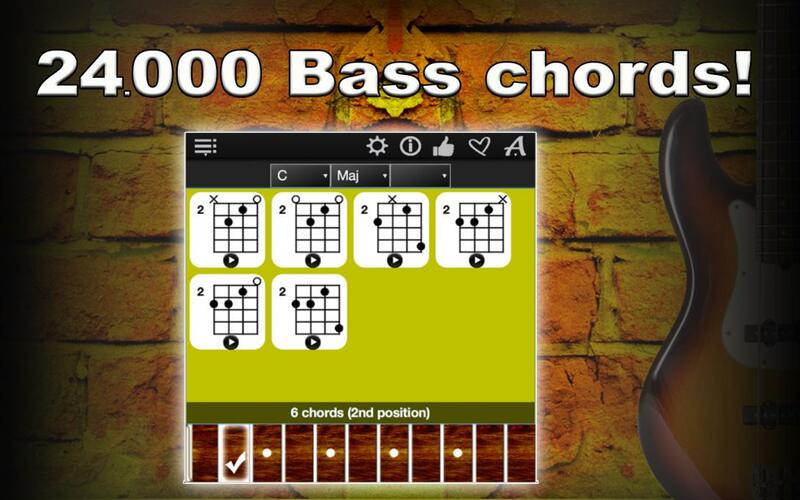 Whether you are just beginning to learn how to play bass guitar or just need help with more advanced chords, this bass guitar learning app got you covered! 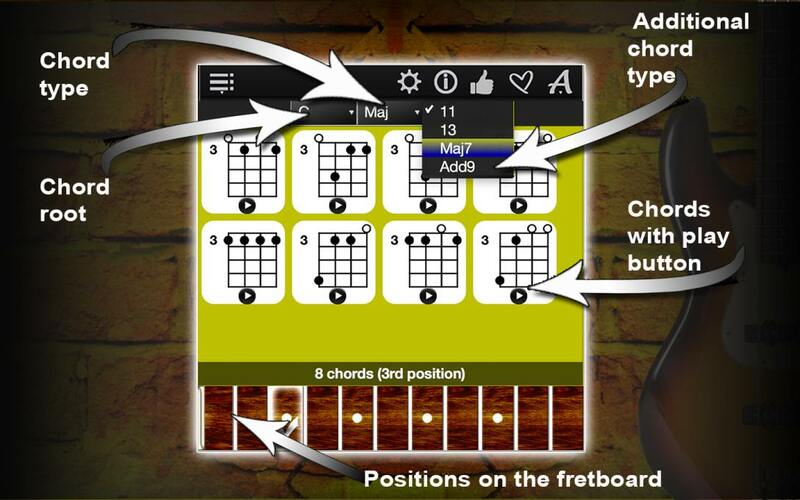 Bass Chords Compass will show you all the chords you can possibly make on a bass guitar fret board. 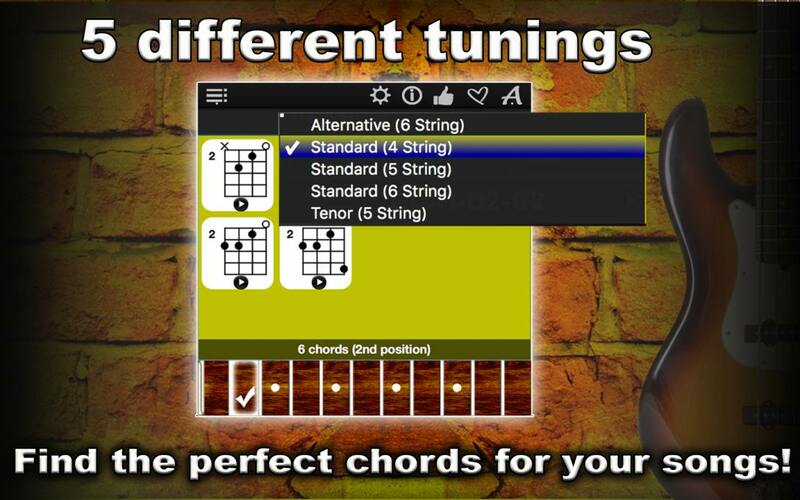 Select from the list of common bass guitar tunings and the app will automatically adjust the chords according to your favorite tuning! This bass guitar learning software is easy to use, it supports both right- and left-handed bass guitar players, has adjustable volume, authentic bass guitar sound and retina graphics. Are you a GarageBand fan? Bass Chords Compass is also compatible with GarageBand smart instruments. Start by selecting a bass guitar chord: select a key on the left, a chord type in the middle, and, if you want, a chord addition on the right. Next, select the position on the virtual bass guitar fretboard. Bass Chords compass will show you how many chords of this key and type are possible in this position and the bass guitar music notes for those chords. 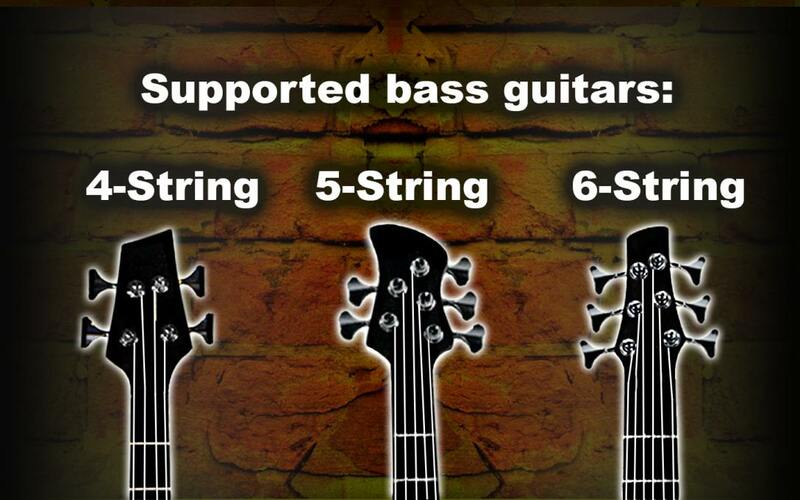 Now, play these chords with authentic bass guitar sound! You can explore bass guitar chords and learn them as you go or save them for later. Just Drag&Drop them into an editing program, and use them for a later practice session. 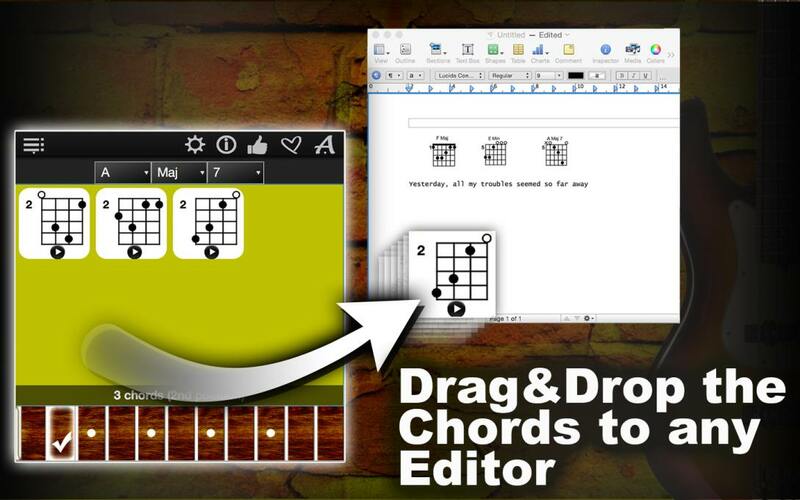 You can also create your own virtual sheet music this way! Try our FREE version of Bass Chords Compass Lite! Have fun exploring bass guitar chords with Bass Chords Compass! Download it now!